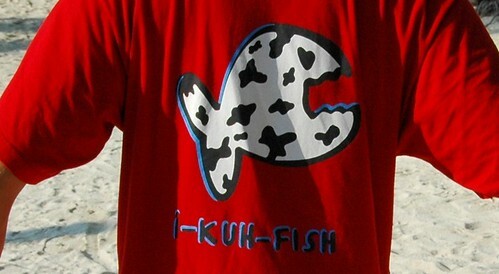 I was wearing my I-Kuh-Fish t-shirt as I boarded the ferry from Caye Caulker to neighbouring San Pedro on Ambergris Caye. The captain of the ferry asked me where I’d found my shirt. He was surprised to hear it was from Dahab, in Egypt, where the shirt’s classy, timeless design is available at every tourist shop up and down the strand. Apart from sporting a cute fish and a slogan that sounded a little like kid-speak for “little fish,” I had no idea what it meant. I had assumed that I-Kuh-Fish was actually a phonetic translation of something or other in Arabic, but asking Egyptians about it only added to the confusion. I had been assured that it meant everything from “clever fish” to “tough fish” to “silly fish.” The whole gamut, really. The Belizian captain explained to me that this is, in fact, the correct Creole spelling for “I can fish”! And luckily, since the local ferry also doubles as a school bus in the mornings, the captain took the opportunity to have a whole ferry full of San Pedro High School students validate his claim. Did you know that Creole is now a recognized language and even has a dictionary? 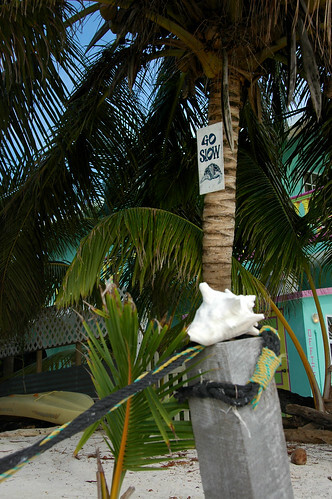 And how could I forget the Caye Caulker mantra, which I heard repeated ad infinitum: Go Slow. 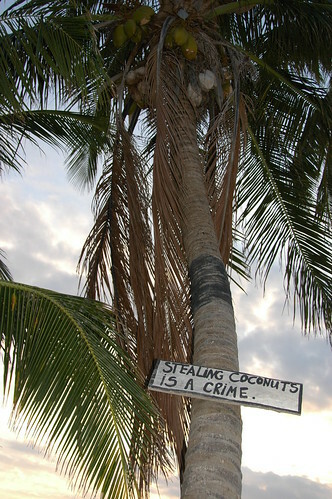 The impressive thing about Belize is that both parts of the statement are true. It’s incredibly chilled but everything seems to work just great on the Cayes. I miss them already. I am afraid to say that we stood too close to Handsome Scotty.